This charming interactive music video that narrates the adventures of an adorable robot is yet another worthy winner of the Tribeca – Genero TV – Interlude competition. 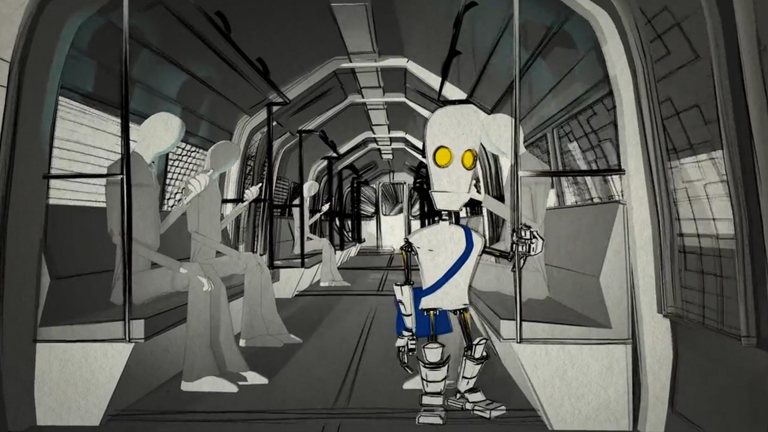 Users get to control the choices the little robot makes in his journey, while also indirectly influencing the visual style of the music video. Quite nicely director Jakub Romanowicz also squeezes in some “Easter eggs” references to classic music videos. See if you can spot them! Read more about the Interlude technology here. This charming interactive music video that narrates the adventures of an adorable robot is yet another worthy winner of the Tribeca – Genero TV – Interlude competition. Users get to control the choices the little robot makes in his journey, while also indirectly influencing the visual style of the music video. Quite nicely director Jakub Romanowicz also squeezes in some “Easter eggs” references to classic music videos. See if you can spot them!